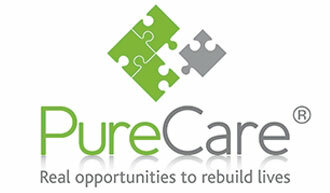 PureCare is a private organisation dedicated to supporting people to improve their mental health. PureCare was set up in 2006 in response to the growing need to provide excellent resources to care managers who have clients with mental health needs. We are regulated and inspected by the Care Quality Commission (“CQC”). Clicking here will take you to the information held by CQC about PureCare. 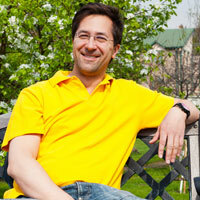 PureCare supports clients with a wide range of mental health needs. We pride ourselves on the fact that we look past the labels typically associated with mental health and will accept clients with drug or alcohol related issues, forensic histories as well as dual diagnosis clients (as long as the main diagnosis is mental health related). The most important factors for us in determining the suitability of clients is to decide whether we believe we can produce successful outcomes for the individual concerned and, in the case of residential clients, whether that person will complement the existing dynamics of the house. Our staff have a broad skillset boasting QCFs (formerly NVQs), degrees and other relevant qualifications as well as a wealth of time spent in the field of mental health. All staff are subjected to a rigorous recruitment process which, ultimately, is at the heart of why PureCare is as able as it is today. As a bare minimum, all of our staff either have achieved, or are working towards a minimum QCF level 2 qualification in Health and Social Care. To offer the highest quality of support provided by a high quality team of staff, who themselves are valued, empowered and well trained. To assist people to exercise their rights. To value people as individuals and welcome the fact that we are all different. We focus our support on being person-centred, open, honest and structured. To listen and work together with people with mental health issues, their relatives, friends and care agencies. To take a holistic and therapeutic approach in supporting people’s needs, encouraging people to access the local community to fulfil their needs and widen their social networks. EVERYONE is assisted to ENGAGE in meaningful activity. People are enabled to express their preferences and experiences. Staff develop an ‘enabling’ style. They involve people in everyday activities and avoid doing things for our clients just because it’s quicker, or simply less of a problem to do it that way. Activities are real, everyday activities, not invented ones. Consistency of approach by each and every staff member is paramount. Staff need to work as a team on establishing how they will organise the support they give to each individual person. Staff carefully monitor the extent to which individual clients take part in ordinary activities with the right level and type of support. Plans are regularly monitored and modified. Meetings help to ensure consistent strategies. Progress is documented. Progress is regularly reviewed. Fees are available upon application.